Discover the wonderful benefits of getting Botox in Lakeville, MN. Chances are good that you’ve heard about Botox, a cosmetic treatment that is able to tackle lines and wrinkles in the face to give you a natural and more youthful appearance. Of course, you may not know what goes into getting Botox. Sure, there are Botox parties and spas that offer this treatment, but if you want a safe, effective option it’s always a good idea to turn to Center for Dermatology, your dermatologist in Lakeville, MN, who has received proper Botox training to give you the results you want. Botox uses a purified form of botulinum toxin, which is injected into the muscles of the face to reduce the appearance of certain lines and wrinkles. This cosmetic treatment has been FDA-approved to target common wrinkles like frown lines or crow’s feet. Any wrinkles that appear when making facial expressions can be treated with Botox. What should I expect when I get Botox? This is often a great cosmetic option because Botox is only temporary, doesn’t require any recovery time and can be completed in only a few minutes. Some people hear the word “needles” and immediately cringe at the idea of getting Botox, but these injections are extremely thin and most people don’t notice more than a slight pinch when they are inserted into the skin. Of course, if the idea still gives you the heebie-jeebies then a numbing ointment can also be applied to the skin first so that you don’t feel a thing. It’s normal for there to be some slight irritation, redness or swelling near the injection sites. Of course, this is only minor and won’t prevent you from going about your day. Some patients come in during their lunch break for treatment and head right back to work right after. The choice is up to you! Botox results won’t appear right away. It will take a couple days to start seeing results, but the full effect of Botox treatment will appear within one week. Results last anywhere from 4-6 months, but if you love your new look you can also continue to get maintenance Botox treatments to keep your beautiful results lasting longer. If you are interested in getting Botox or finding out what it could do for your appearance, it’s time you talked to your cosmetic dermatologist in Lakeville, MN to learn more. 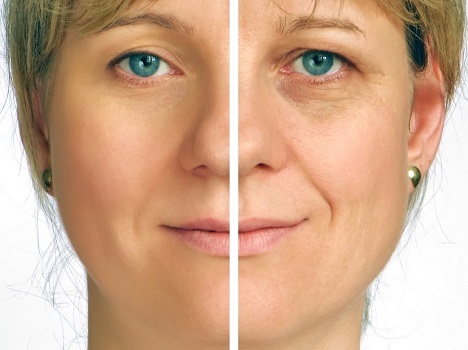 There might not be a Fountain of Youth but Botox can certainly get you one step closer to a younger-looking you.